Crimps EDAC 516 and ELCO (Varelco) 8016 contacts. 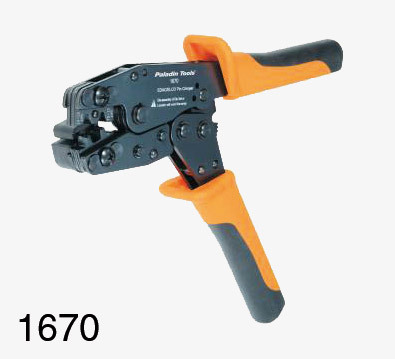 It features embedded pin locators to properly align pins to ensure accurate, reliable crimping, and soft rubber handles for user comfort. Note that these tools have permanently fitted dies, and are factory-calibrated for precision crimping.